Chef Barbara says she didn’t come to Calvary Women’s Services to win anything. She came because it felt like the place where she belonged, and to do her best. Hearing positive feedback from women at Calvary about the meals that she prepares is all the recognition that she needs. 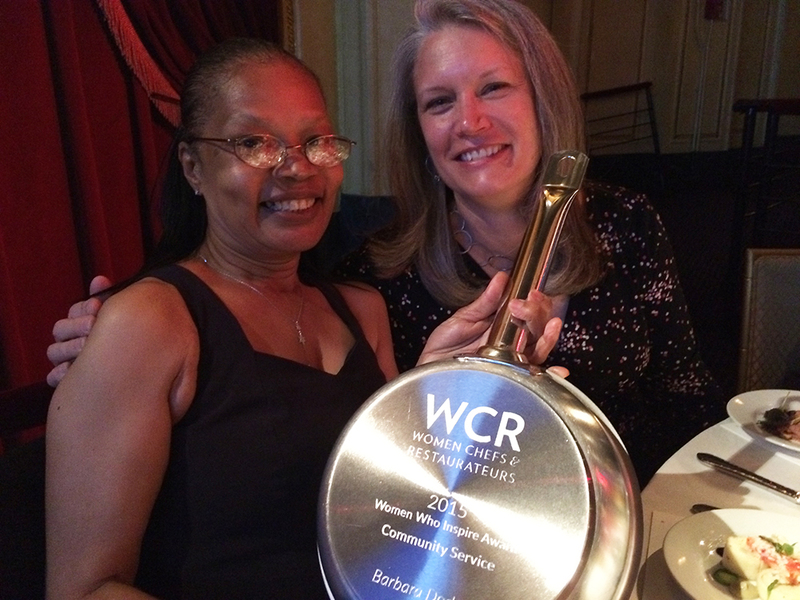 Last week, though, Barbara was recognized in a big way when she received the Women Chefs & Restaurateurs (WCR) Community Service Award. The Community Service Award honors a woman whose contributions in community or civic affairs have made a strong impact on the lives of others. Barbara traveled to New York City with Calvary’s executive director, Kris Thompson, and operations director Catherine Bisson for WCR’s 22nd National Conference. 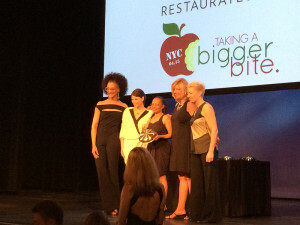 She was selected as the award winner from a group of successful chefs and restaurant owners from around the country. Attending WCR’s Conference and Awards Gala exposed Barbara to new foods and cooking techniques. She said she is inspired to do more and “be a chef in every sense of the word” in Calvary’s Good Hope Kitchen. Barbara attended an educational session on preparing lamb and is filled with ideas on how to incorporate it into meals for special occasions. Being surrounded by world-class chefs from around the country was also an inspiring and humbling experience. “I just want to thank everyone at Calvary for their support and acts of kindness throughout the competition. We are all winners,” she said. Click here to view more photos from the Women Who Inspire Awards Gala and Dinner. 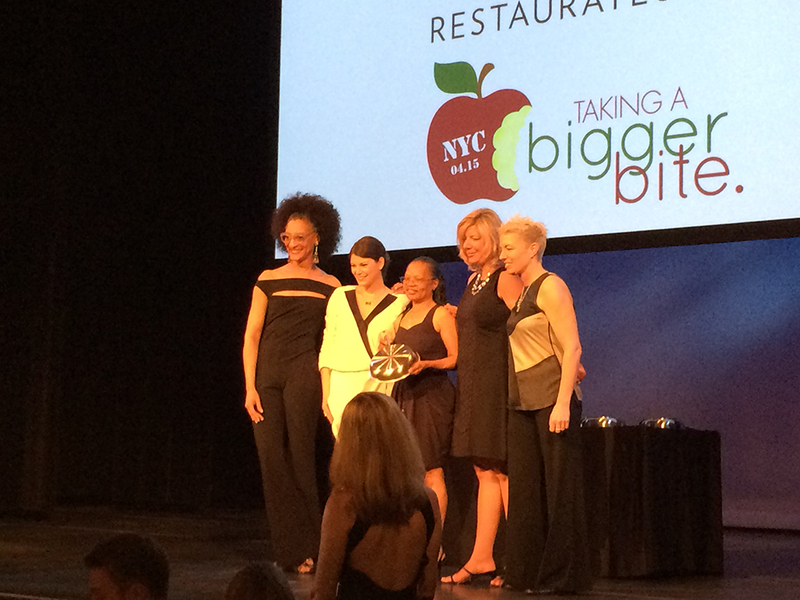 Congratulations, Chef Barbara!